Lanzarote is the most volcanic of the Canary Islands, with very little vegetation. 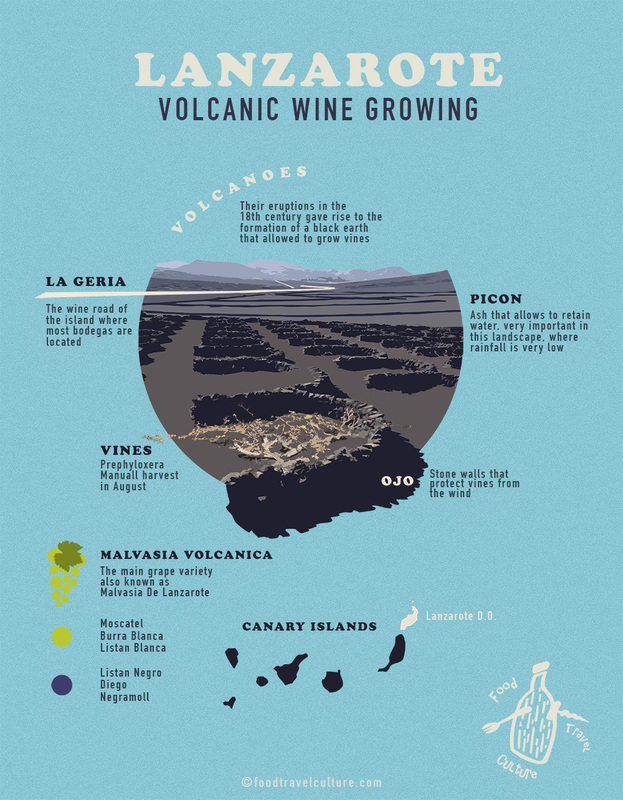 Here locals have found an innovative way of growing vines after the volcanic eruptions that lasted from 1730 to 1736. 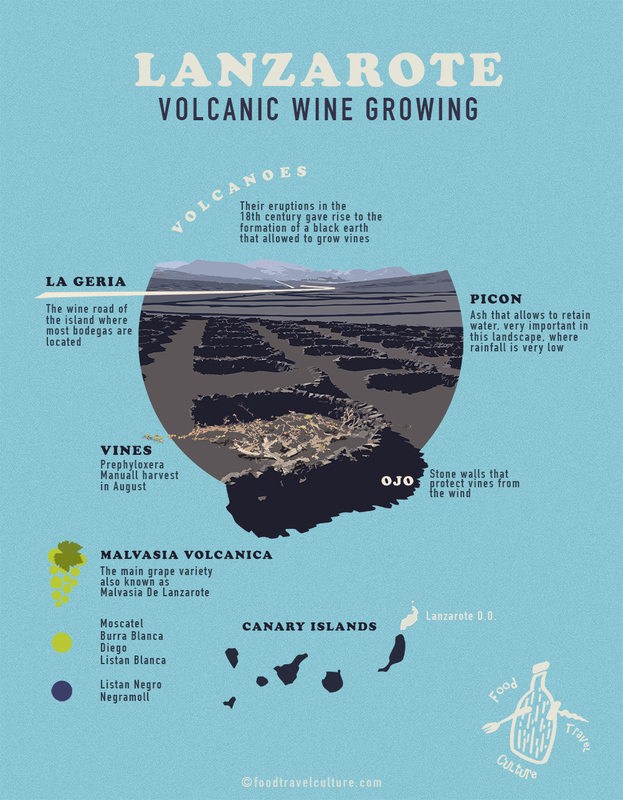 Thanks to the creation of black ash that allowed water retention and a new system of protecting the vine from the wind with volcanic stone walls, wine growing became a reality. Although some sparkling, reds and sweets are produced, fresh and mineral whites are the most popular styles of wine produced and they pair perfectly with seafood, like paella. If you travel to Lanzarote, do not forget to visit the wineries in La Geria, the main winemaking area of the island. A breathtaking view will accompany on your journey to the bodegas!